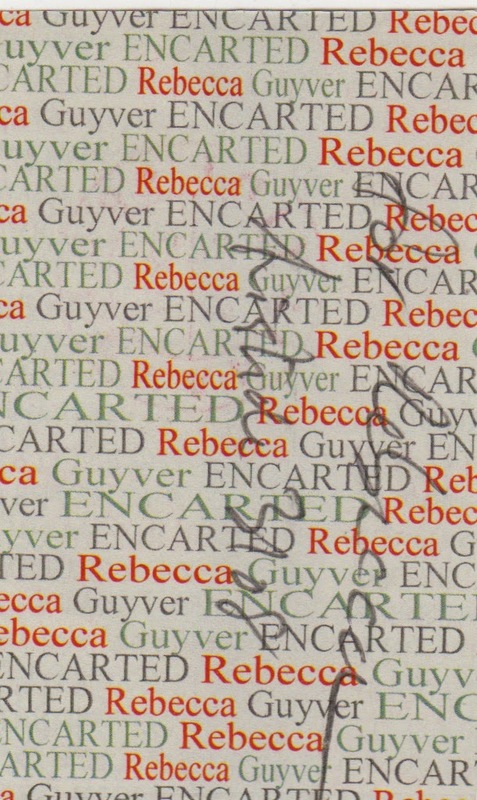 The Postal Ledger: 2014//reb.guy.enc.//number//CS02222348 - AND I'M ENCARTED! 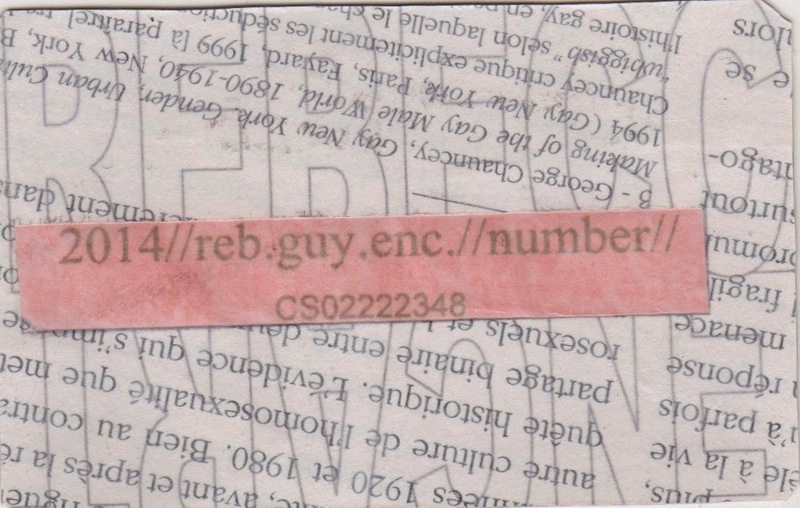 2014//reb.guy.enc.//number//CS02222348 - AND I'M ENCARTED! Every so often something comes along that really surprises me and this gift from Aristide 3108 is one of those things. I am being celebrated, encarted, and this feels odd to me... I see myself as the celebrator, not so much the celebrated! So this is how it went with me. 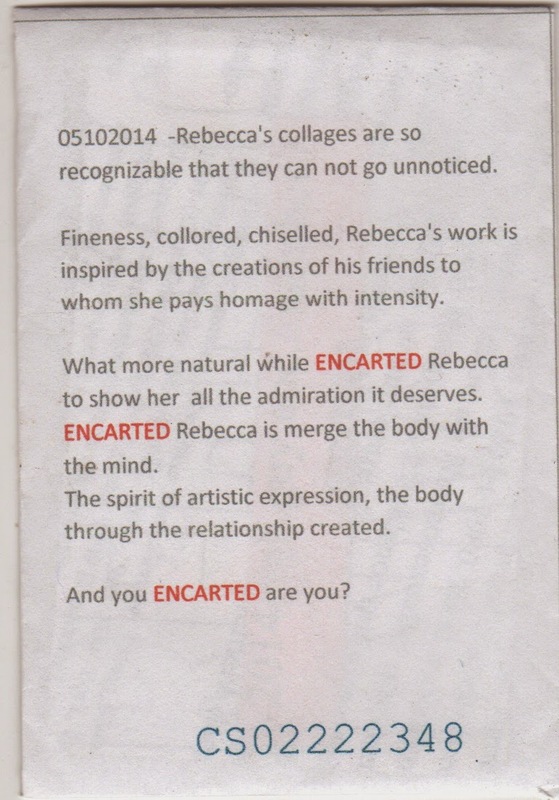 I got my first ENCARTED from Aristide a few years ago. I wasn't really sure what it meant but the cards, like pieces of a puzzle, distinct, exact and considered spoke to me. With each card I became more confident that ENCARTED referred to the cards, but I didn't have enough context to really understand. I could only respond to them on one level, on the way they made me feel, the way the text and images combined in a satisfying way. 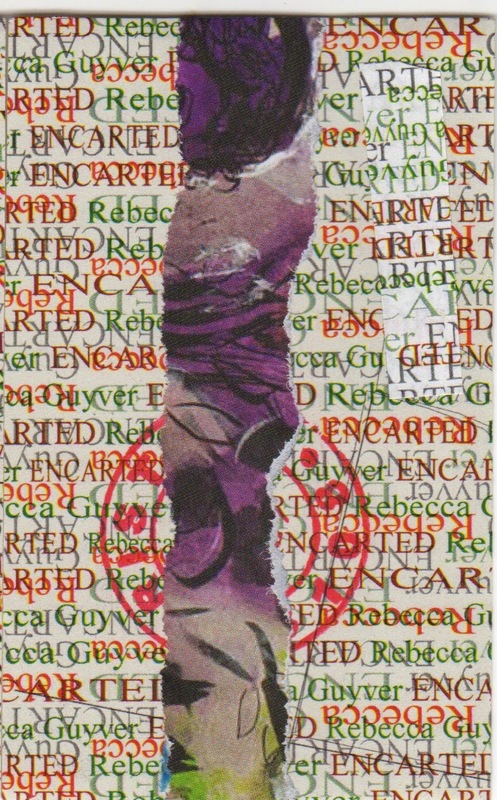 'Send me your best mail art' proved a compelling strapline, too. 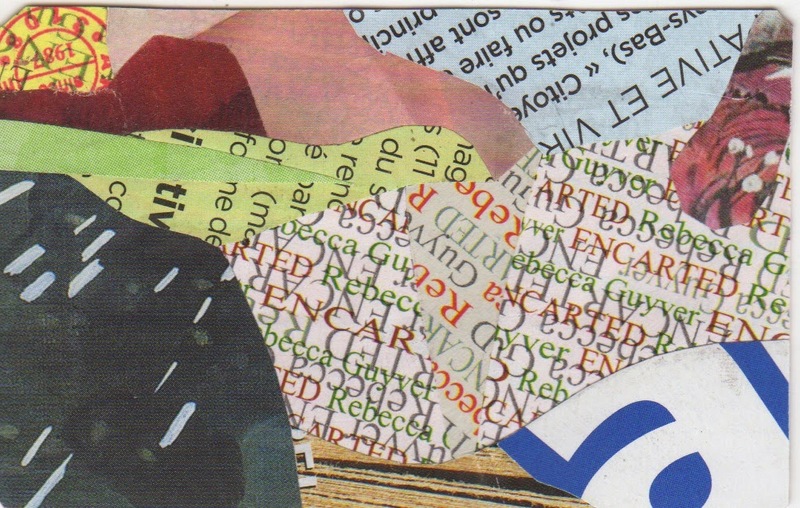 Back on IUOMA we all talked about whether it needed to be your best mail art. My friends and family wondered why I was sending things I worked on for hours sometimes to strangers in the post, so obsessively. It might never get there. They might not appreciate it. You could sell it. It's not something you can explain, this NEED to send things through the post. 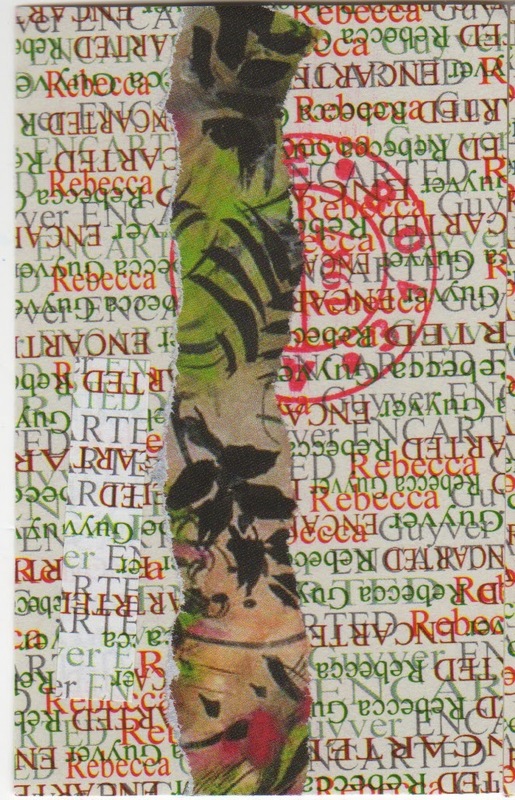 And of course, people who I send things to become my correspondents and some become my muses or my collaborators and for people who don't send mail art that is just a step too far. For me, it feeds me. But even then most of the time you never really know if your correspondents, your muses, your collaborators are in sync with you. You suspect some of them are, but it's a fleeting feeling. Aristide 3108, my French friend, thank you for the honour and I will treasure my beautiful ENCARTED and try not to blush at the thought of your network hearing my praises! Wonderful stuff from Aristide, and great comments, Rebecca. Thanks Dan! It's a wonderful community!